When February arrives all I can think about is; hearts and varies shades of pink. 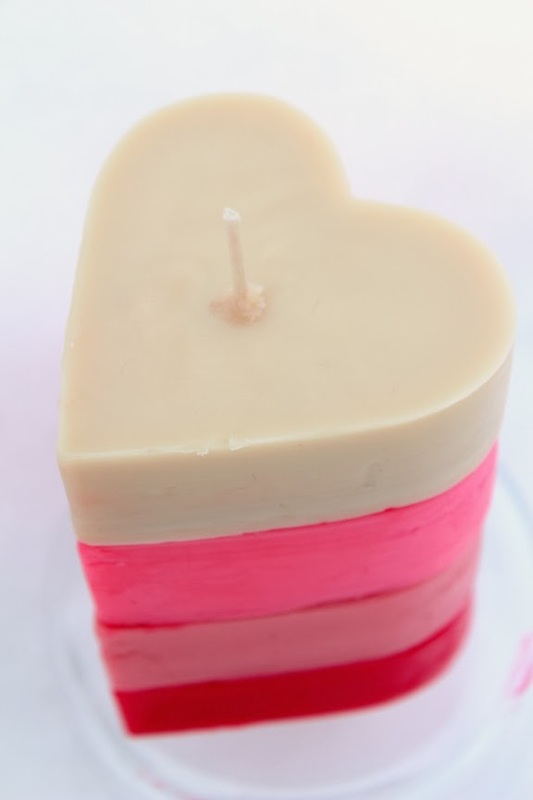 I combined my love for both to create this simple heart pillar candle. All you need is candles (I bought them from the dollar store), heart shaped cookie cutters and a wick. Step 1: Select the colors you'll be using. Step 2: Place in a pot filled with water and allow to boil until wax melts. Step 3: Pour into cookie cutter molds. 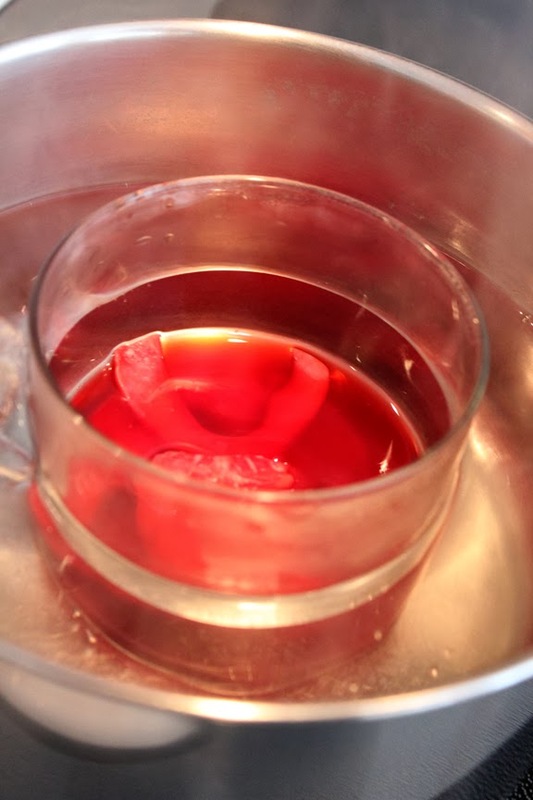 Step 4: Freeze to harden wax, and pop it out of the mold. Step 5: Place a hole in the center of each heart (I used wire). 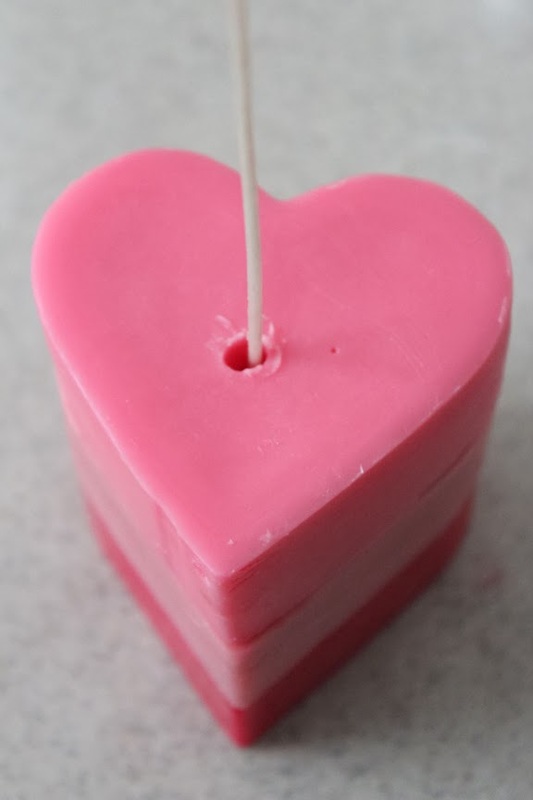 Step 6: Insert the wick into your first one and pour on some white wax. 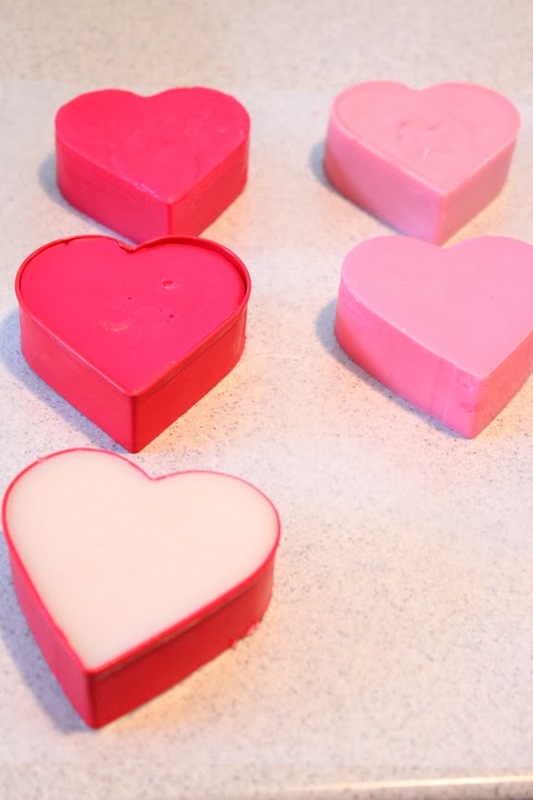 Step 7: Continue to add wax to each heart and stack until you reach the top. 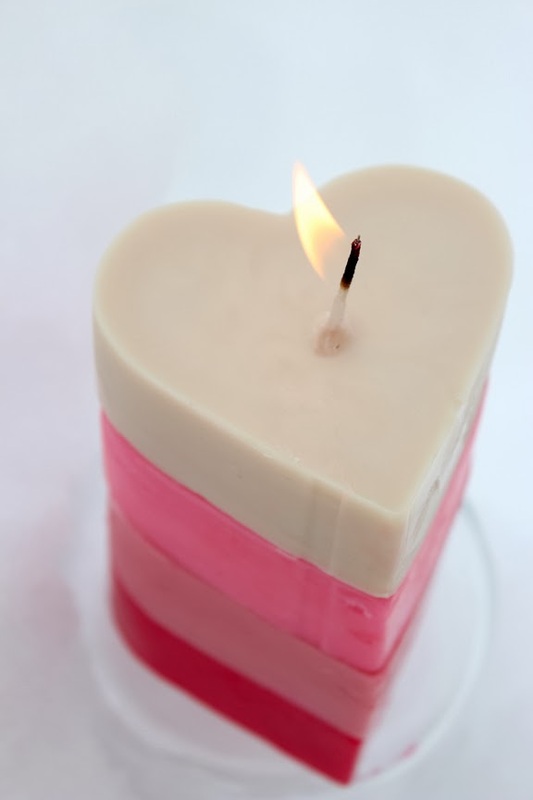 Step 8: Trim your wick, light and enjoy!